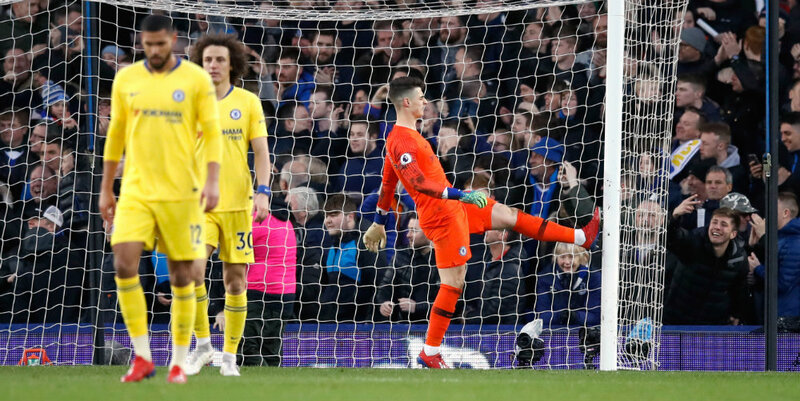 Chelsea’s hopes of a top-four finish took another blow when they were beaten 2-0 at Everton on Sunday. With Maurizio Sarri making some controversial choices, Gonzalo Higuain struggling and the sixth-placed Blues in danger of missing out on the Champions League again, this season could turn out to be a major disappointment. Here’s a selection of what some of the pundits had to say about Chelsea’s latest setback. “They’ve got themselves to blame. They play some wonderful football but they try to score the perfect goal at times instead of just putting the ball in the net. “Last week they were poor against Wolves and this week in the second half they haven’t really come out of the blocks. “Of the 30 games, Chelsea haven’t scored in eight games. That’s way too much – it’s almost a quarter of the games. “The front three are not really trying to break the line or trying to do things in the right way. “I don’t think it is only Sarri. It is the responsibility also of the players. “When you play that system, 4-3-3, you wide players have to stay wide. They have to get there (in the box), not already be there. “More often, they are already there and Higuain gets frustrated and starts wandering. And that’s not what Chelsea want. “I have sympathy with Higuain because they don’t feed him quick enough and he wants to feel the ball. “But the worst thing that he can do is going wide, because that is not his strength. His strength is between between those centre-halves. He needs to demand it more off his team-mates. “It’s difficult times ahead for Chelsea. I think there’s a big sea change in how they see things going forward. I don’t think they will be winning trophies in the immediate future. “If you are Hazard, you are one of the best players in the world, and you are thinking I’m now arguably at the peak of my career and I want to be winning the big trophies. “Chelsea dismay me. They must be wonderful at five-a-side, but look at the stats. They have two thirds of possession, dominated things, had twice as many touches, and they lose 2-0. “If you are having that much of the ball where are you having it? It’s on the halfway line and in your own half. That’s how they are playing, they’re like a five-a-side team. “When they won titles they had Didier Drogba, one of the great centre-forwards, and they had Diego Costa. I don’t think they have that person now. I think the fans have to be patient.